NAIROBI/MAPUTO. – The Government of Mozambique has signed a Memorandum of Understanding (MoU) with Great Lakes Africa Energy (GLAE) to generate electric power using natural gas for domestic use at an estimated value of US $400 million. The agreement signed last Friday in Maputo, Mozambique with GLAE, a United Kingdom registered Pan African energy solutions provider, will involve the construction of a 250 megawatt gas fired electricity generating power plant. As part of the agreement, GLAE will develop, finance, build, own and operate the power plant to be fed with natural gas supplies from Mozambique’s Rovuma Basin. The agreement was signed by Mozambique’s Minister for Mineral Resources and Energy, Dr. Max Elias Tonela, and GLAE Director, Mr. Michael Kearns. 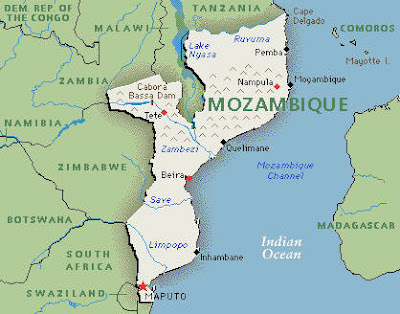 The agreement follows the result of Mozambique’s Rovuma Basin domestic gas tender, the results of which were announced in January 2017. Mozambique, which has vast offshore gas resources, has decided to use some portion of the extracted gas for domestic power projects, with an aim of achieving a sustainable economic growth, including domestic energy production.